In a surprising move, Apple’s CEO Steve Jobs has been given the Mobile Personality of the Year award at this year’s Global Mobile Awards hosted at the MWC (Mobile World Congress) show in Barcelona. The special award was created to mark the 15th anniversary of the Global Mobile Awards and “reflects the contributions of individuals, established names, new thinkers, and rising starts, across the global industry and leaders of other industries that have contributed to the growth and convergence of mobile during the last year”. Steve Jobs did not turn up to personally collect the award, and nobody from Apple collected the award on his behalf. Stephen Fry, the host of the Global Mobile Awards, said he would pass it on. The other nominees are present at MWC, including Eric Schmidt, CEO of Google who is due to give the keynote speech later in the day. In accepting the award Stephen Fry outlined the career of Steve Jobs in three acts. The first being the original rise of Apple, the second being Steve Jobs at Next, and the third being Steve Jobs today. The nominees were Eric Schmidt, Chairman of the Board and CEO, Google; Mike Lazaridis Co-CEO, Research In Motion; Steve Jobs, Co-Founder and CEO, Apple; and Pete Chou, CEO, HTC. 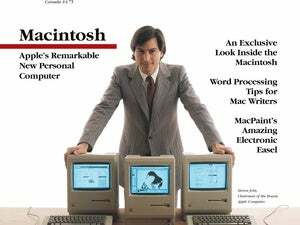 This story, "Steve Jobs dubbed Mobile Personality of the Year" was originally published by Macworld U.K..